Here is the list of Most Stunning portraits of some charming ladies. With the fact that they are the most fabulous ladies all around the globe, they too are generous and gregarious. Their spellbounding beauties have always been in talks, even after their demises. Although, many names accounted my mind but these were the ones who had to rule the chart. Kirsten Stewart is an American actress. She is best known for her character as Bella Swan in the movie Twilight. Her upcomings are : “On the Road” and the “Twilight Saga : Breaking Down Part 2″. Kirsten acknowledged her relationship with the actor Michelle Angarano in 2004 but after Twilight she has been romancing with the actor Robet Pattinson. In 2012, she admitted the fact that she is dating Pattinson since last 4 years. Emma Watson is an English actress and model. Emma has grown up playing the most popular role of Hermoine Granger in the Harry Potter series. She was 9 years old when she was offered the role of Hermoine Granger. However her first debut was Ballet Shoes. She is the youngest growing celeb quickly penetrating into the minds of youth. She will be seen in her upcoming film Noah. However she has not yet mingled into any serious relationships. , thereby fully focussed on her future projects. Angelina Jolie, the most attractive and voluptuous lady, is an American actress as well as Director. She has won so many awards and was rated as the highest paid actress by Forbes in 2009 and 2011. Jolie has been considered as the most beautiful woman in the world. She has been divorced twice with the actors namely, John Lee Miller and Billy Bib Thornton. Now, she has been engaged to Brad Pitt this year after 7 years of their relationship. This pair was called as “Brangelina” by the media. They have adopted 3 children and have 3 biological children. The super beautiful and amazingly sensuous , Natalie Portman has conquered many awards for her lead performance in various films. Well known for Nina Sayers in “Black Swan” for which she won “The Independent Spirit Award”. An interesting fact about Natalie is that she’s an animal rights advocate. She is a vegetarian since her childhood. She has been engaged to Benjamin Millipied and gave birth to Aleph Portman Millipied in the year 2011. The amazingly beautiful Aishwarya Rai, an Indian Actress whose glamour and passion have touched every corner of the world. Aishwarya’s glory crossed all the heights compelling the Netherlands to honour her by naming a flower Tulip after her name. She has been The Miss World in the year 1994 and was also announced as the most beautiful women the world. Aishwarya has recently given birth to a baby girl, named, Aradhya Bachchan. Grace was an American actress and was named as the “Princess Grace”. As the name suggests, she was too graceful and elegant. She did many films which were then a success and thus leaded many awards for her performances. She turned into a star with release of Mogambo in the year 1954 and collected Golden Globe Award and the Academy Award for her performance. She married to the Price of Morroco, Rainier III and had 3 children Caroline, Stephanie and Albert. She was ranked as No. 13 on the list of ” top female starts of American Cinema”. However her demise in the year 1982 left all her admirers in a jolt with grief. Zeta Jones is a Welsh actress. She looks magnificent and earned her first Golden Globe Award for her film “Traffic” in 2000. She was also nominated as Best Supporting Actress by Motion Pictures. In 2010, she won the award for Best Leading Actress for her character Desiree in the movie “A Little Night Music”. She married Michael Douglas and had two children. They had a successful marriage but Catherine, was a big smoker. For this, she was criticized as she smoked around her husband who was suffering from Cancer. A film actress, Director and a Producer. She is a supertalented damsel. The flawless character of Rachel Green in the show “Friends ” has conquered millions of hearts. She gained critical acclaim for her films and was the winner of Golden Globe Award. Her greatest successes were “The break Up”, “MArley and Me”, “Just Go with it”. She married Brad Pitt but their marriage could not sustain due to the relation of Brad Pitt and Angelina Jolie. After her divorce with Brad she coupled with a large number of actors and singers and in the recent news she has engaged with Justin Theroux. In 2007, she was rated as the highest paid celebrity by Forbes. Audrey Hepburn was a British actress and humanitarian. “The fashion groomed because of her”…. She was a fashion icon and a marvellous film actress. She was given a tag of “the greatest female screen legend” in the history of American cinema and has been placed in ” The International Best Dressed List”. She worked as UNICEF Goodwill ambassador. 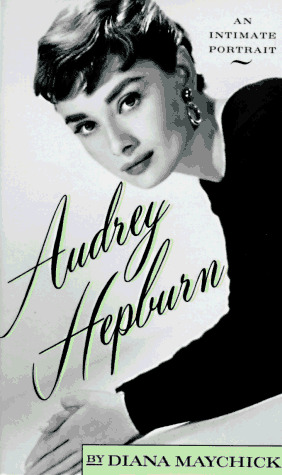 Audrey was linked with actors James Hanson, Gregory Peck, William Holden, Mel Ferrer, Andrea Dotti, Robert Wolders. She died due to cancer in 1993. I could not resist ranking Elizabeth Taylor as No.1 on my list. Her name is self sufficient for someone to gain a picture of an eternal beauty before our eyes. She was the queen of millions of hearts. A British-American born, gained the fame as the greatest Hollywood Actress. Taylor was recognized for her acting ability and for her glamorous lifestyle, beauty and distinctive violet eyes. Taylor was married 8 times with 7 husbands. She had many romances outside her marriages resulting into a list of the guys she fell in love with. She had 4 children, 10 grandchildren and 4 great grand children at the time of her death. She died in the year 2011, at the age of 79 due to a heart failure.